Archaeologists have uncovered a 29,000 B.C. well-equipped "kitchen" where roasted gigantic mammoth was one of the last meals served. 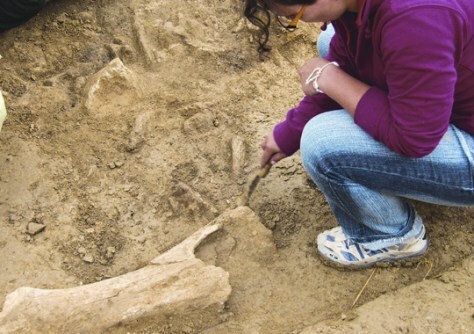 Here, some remains of the prehistoric BBQ — a mammoth bone — is excavated.